Real Canada Jobs – No Trump!! 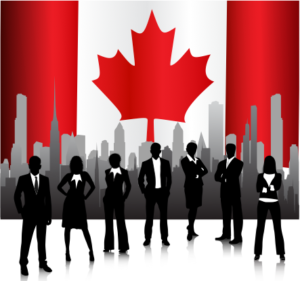 Canada has a thriving and vibrant economy that produces plenty of jobs for both the residents and foreign nationals interested in relocating to Canada. At this time, job opportunities in Canada are abundant as many cities and provinces in Canada have labour shortages in important sectors and industries. Canadian employers are eager to hire qualified and responsible workers. Industries and sectors in Canada like healthcare, Information Technology and engineering are eagerly looking for qualified candidates. Skilled and semi-skilled professionals such as carpenters, electricians and plumbers are also in high demand. Workers from abroad (whether temporary or permanent) in these high-demand occupations have been helping Canadian employers staff their growing businesses. Employment opportunities are out there, but it is up to the applicant to search and apply for jobs. Obtaining a job offer from a Canadian employer can fast-track the process of coming to Canada on a permanent or temporary basis. For those applying for Permanent Residency through the Federal Skilled Worker Program, a permanent full-time job offer from a Canadian employer can reduce application processing times. Once you have Permanent Residency, you have the legal right to work in Canada and your dependents have the right to work and/or attend school. For those interested in temporary employment in Canada, once you obtain a genuine job offer, you can apply for a Temporary Work Permit. This is often a quicker process and can improve your candidacy for Permanent Residency should you choose to apply at a later time. Canada is in need of workers to come to Canada and participate in the society and economy. It can only benefit future immigrants to search for and apply for employment opportunities in Canada.